limitations or other deadlines, failing to properly advise a client about the details of a settlement, and failing to pursue a case. If you have questions about a specific incident of possible legal malpractice, contact our office as soon as possible. You can trust and depend on the discrete and effective representation of Hasley Scarano. A professional liability claim can result in significant liability exposure for you or your firm. By advocating an aggressive approach to the defense of legal malpractice claims, Hasley Scarano has brought favorable closure to the most complex and high-risk cases. We offer extensive experience defending a wide array of professional liability suits and provide counsel in virtually all areas of legal malpractice defense. Legal malpractice is more complex than it might appear on the surface. 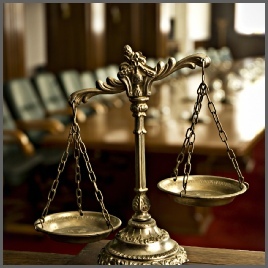 It takes an attorney with experience and understanding of the law to determine if you have a case. Whether your professional liability claim is based on negligence or fraud, Hasley Scarano has the experience necessary to assess your case accurately and present your claim for damages in clear and persuasive terms.